From gunmetal greys to dazzling golds, it’s no secret that metallics reign supreme this time of year. So what are our tips for wearing these metallics of the moment? First, consider the occasion, then pick a piece to update your look with razzle dazzle. In the mood for metallics? Here’s how to add them into your style. ‘Tis the season for toasting. A cocktail hour or party is the perfect time (and place) to add a little shimmer to your look. Take a cue from the cool crowd (aka our favorite influencers) and reach for a moto jacket to layer over a simple metallic slip dress. Then, accessorize with a texture-rich (and on-trend) sequined clutch. In this case, shine is a good thing. By now most of us have taken note that bell sleeves are #trending and might be here to stay for a few more seasons. So. 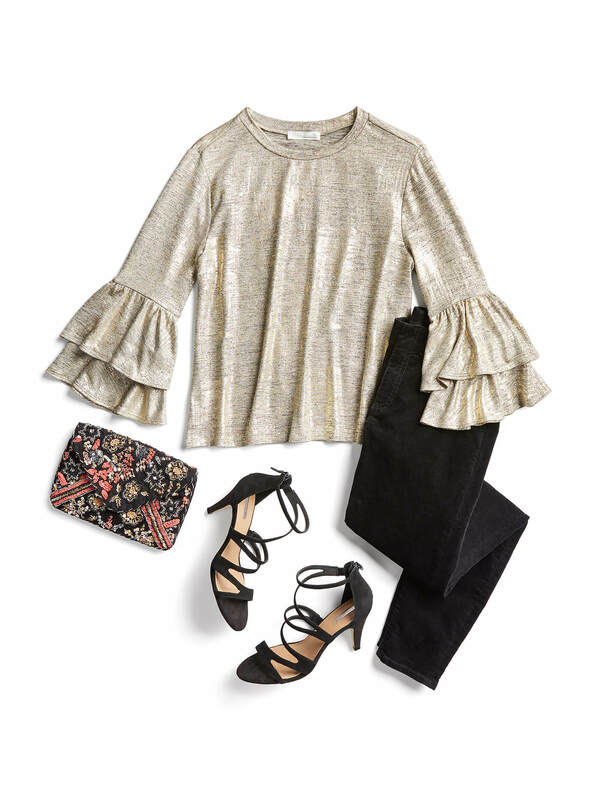 try out two trends at once with a high-shine metallic top with bell sleeves. Keep the rest of your ensemble streamlined and simple by pairing your trendy top with staples like jeans or tailored trousers. What do you get when you pair a bright color with shine? One seriously festive (and chic!) outfit. 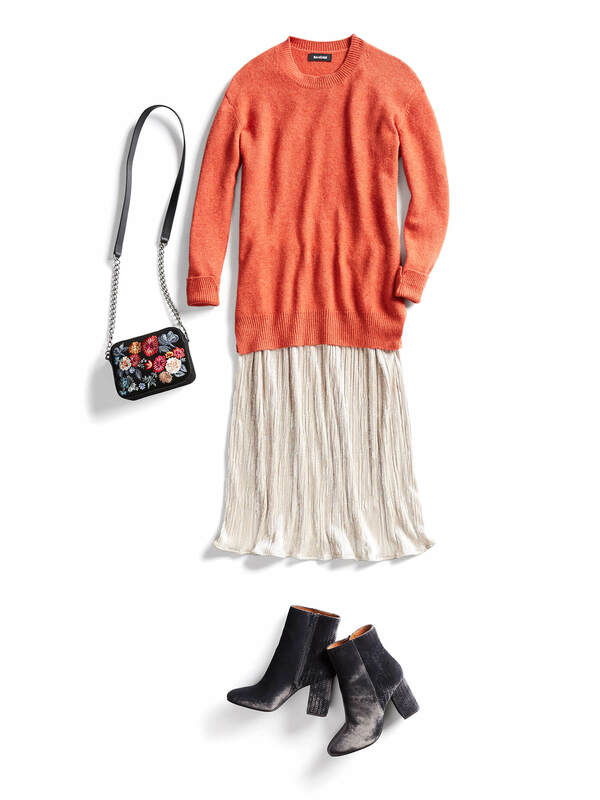 Grab a metallic piece like a midi skirt and pair with a cozy knit sweater for an easy, comfortable look. Stylist Tip: As a rule of thumb, metallic hues like gold, rose gold and bronze pair best with warm colors and earth tones while silver, grey and gunmetal metallics look spot on with cooler tones like navy blue. Whether you’re entertaining at home or heading to the biggest holiday bash of the season, metallics are the best way to add extra oomph to your look. Will you wear metallics this season? Tell us in the comments!